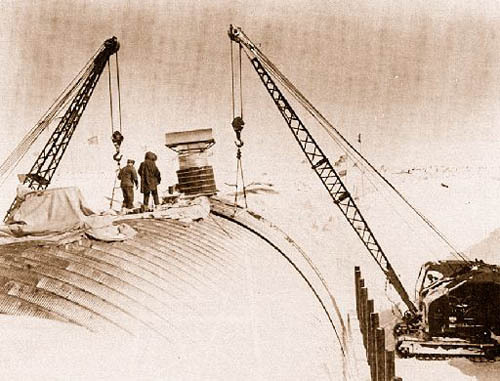 Over at BLDBLG: Project Iceworm, the US army’s cold war bunker built under the arctic icesheet. Nuclear powered and with twenty-odd giant caverns, the pictures are amazing. No dates, but according to the original site it was occupied between 1959-1966. Amazing.